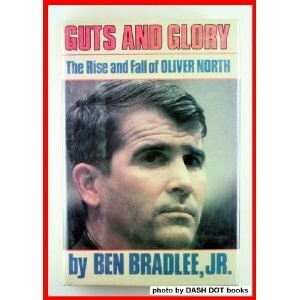 In his review of Ben Bradlee Jr.'s Guts and Glory: The Rise and Fall of Oliver North (July 3), Andrew J. Glass repeats an item of Libyan disinformation by asserting that the United States raid on Libya in April 1986 killed Muammar el-Qaddafi's 15-month-old adopted daughter. In fact, as Secretary of Defense Caspar Weinberger made clear at the time, and others have repeatedly confirmed since then, Colonel Qaddafi had no such adopted daughter - she was created out of whole cloth as a means of making the Americans look bad. Aug. 26, 2011 update: The truth about this child finally came out 25 years later, as Qaddafi's regime fell. For details, see "Qaddafi's Daughter Hana."